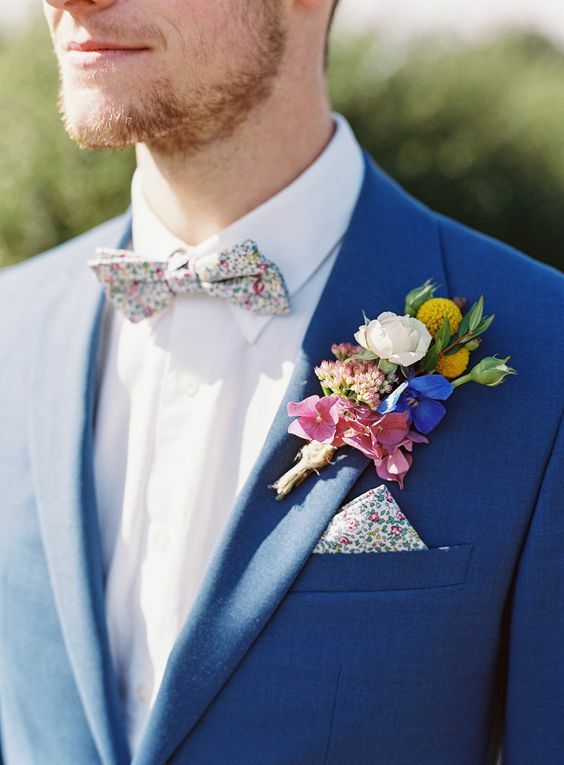 Brides and Grooms ask me all the time whether they should wear a boutonniere or a pocket square. A big part of me has always said, “One or the other”. and that was that. Partly because I subscribe to the K.I.S.S. (Keep it simple, stupid.) method for just about everything in life, maybe even more so when it comes to fashion. I’ve always found that wearing both always made the guys look lopsided, drawing your eye too heavily to the side, and you miss out on the simple elegance of a properly pieced together suit or tuxedo ensemble. All of this changed, however, when I realized that this was only happening when the two were mismanaged, with little or no regard to the rest of the outfit or each other. 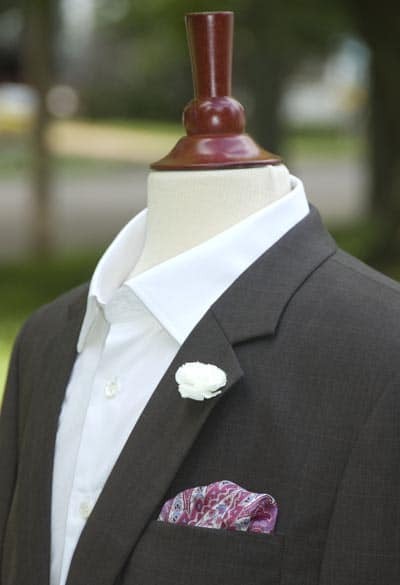 When a pocket square and boutonniere work in concord with one another, they can actually enhance the overall look. Getting two musicians together doesn’t guarantee a hit, Skrillex and Kenny Chesney probably wouldn’t make the best music together. Things could be worse, I’m not sure how, but I’m sure they could be. Just because it’s okay on its own, doesn’t mean it will work well with something else. If the individual parts aren’t all the great to begin with, then odds are they won’t mesh well in the in. Now put Queen and David Bowie together, and you get ‘Under Pressure’. Or Bowie and Mick Jagger together, and you have ‘Dancing in the Street’. The song, not the music video. Same goes for the pocket square and boutonniere combo. If done well, it can be a fine compliment to the outfit, rather than a distraction. 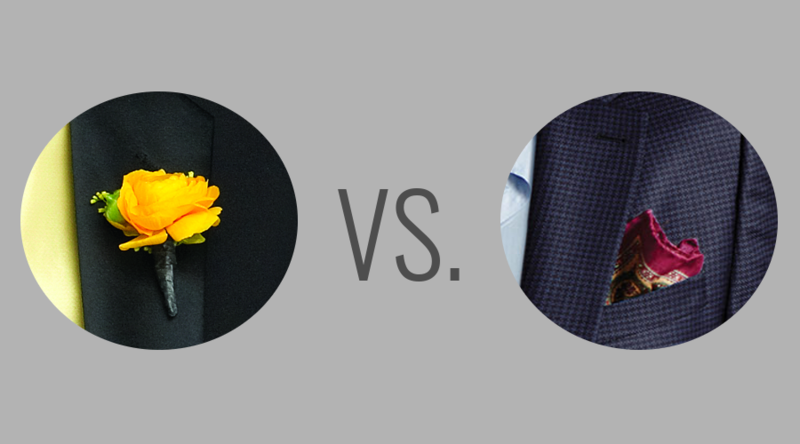 A boutonniere is beautiful, and, more than likely, not something you get a lot of opportunities to wear. 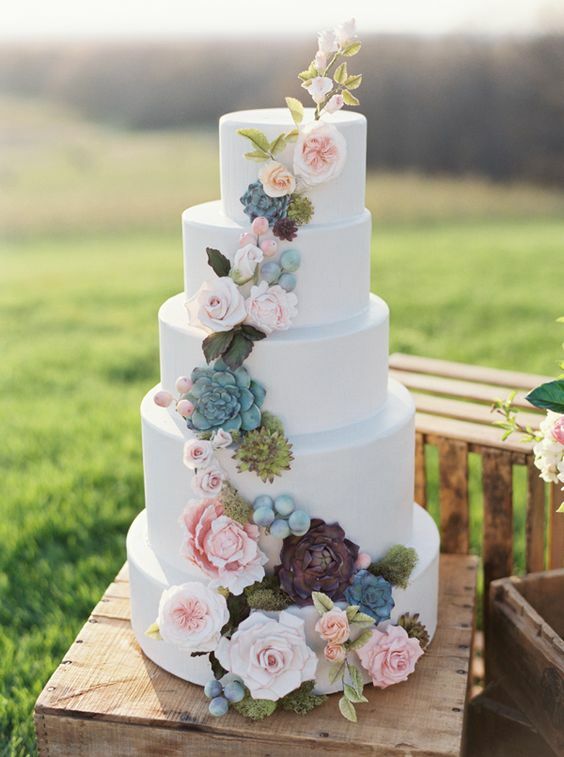 With this in mind, there’s another way to have your cake and eat it too. One of my favorite options is simply to wear the boutonniere during the ceremony and pictures, then swap it out for the reception. This way you can keep it looking fresh (especially if anyone intends to use it for scrap-booking), and you won’t have to be so worried about anyone crushing it while giving you a congratulatory hug. Another added bonus is you and your groomsmen will be able to maintain some of the wedding colors on your outfits once the ties or bow ties come off (as many of the guys are bound to take their ties off first chance they get). Whether you’re a “one or the other” , or a “go all in” type, there’s lots of ways to make sure you get the look you really want (without regretting it years down the road)!